Radcut sidecut- traditional sidecut between the binding inserts for higher speed edge hold and reverse sidecut near the tip and tail for slower speed maneuverability. Serrated Edges 5S Sidecut – maximizes edge grip due to 5 smaller points of contact along the sidecut, similar to Magne-Traction. The Angus is one of the stiffer all-mountain twin boards in the Rossignol line up, designed to offer a surfy ride in powder while maintaining performance across a wide range of conditions. While Rossignol offers several other boards in this category, the Angus’ camber profile, stiffer flex, and twin shape all seem to add up to a board that could perform very well as a 1-board quiver. 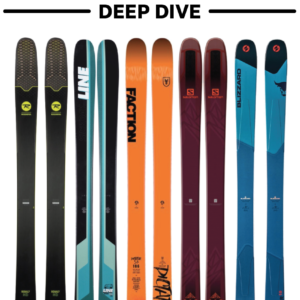 According to Rossignol, the Angus features 30% rocker at the tip, 30% rocker at the tail, and 40% camber between the binding inserts. This is designed to allow the tip and tail to float in deep powder, while the traditional camber — in addition to the serrated 5S sidecut (which I’ll discuss further down) — is meant to help with holding an edge on firmer conditions. I have grown to love this camber profile, which has remained very popular with many freeride and all-mountain boards (e.g. Jones Flagship, Aviator, & Ultra Twin; K2 Joy Driver, etc). In my experience, a significant amount of edge hold and pop is sacrificed with fully rockered boards when riding anything other than powder. I’ve also found that the camber profile of the Angus feels smoother / more predictable than the boards I’ve used from Gnu, Lib Tech, and Never Summer, which all use some sort of combination of rocker between the inserts and camber under and / or outside the inserts. The Angus’ “Twin All Mountain” flex (rated an 8 out of 10 on the Rossignol scale), feels like it works well with the shape and purpose of the board. As I reiterate in all my snowboard reviews, I personally appreciate a stiffer setup (boots, bindings, and board). I am not a particularly large nor heavy person (5’ 11”, 160 lb), but I have found that softer boards feel much more squirrelly in general, and perform poorly in chop, tracked, or variable conditions — particularly at high speeds. 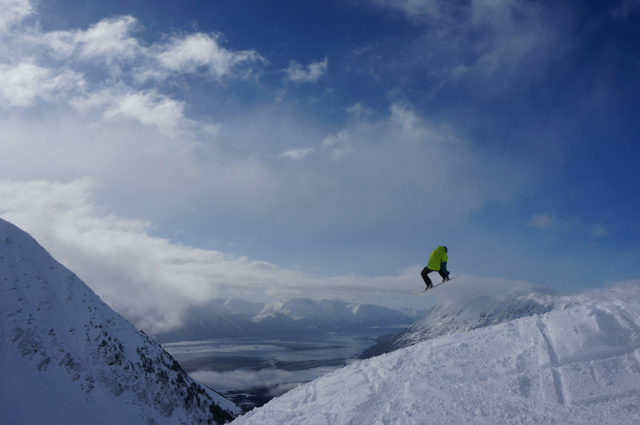 This is especially important to me since I spend most of my time riding at Alyeska, where heavy, tracked, and / or variable snow can be common. While I liked the shape of the Rossignol One Magtek, the soft flex of that board ruined the ride for me — it never felt very stable on anything other than smooth corduroy or untracked powder and felt sketchier at high speeds. The Angus is definitely stiffer than the One Magtek, and that is noticeable on snow. When comparing the Angus to the Krypto (one of Rossignol’s directional all-mountain boards), it’s worth noting that while Rossignol rates the flex of both the Krypto and Angus as 8 out of 10, when flexed side by side with a 164 cm Wide Krypto, the 162 cm Angus feels stiffer overall, and particularly in the nose and tail. The stiffness of the Angus encourages hard charging, railing turns, and slashing powder, yet it still feels lively when sending side hits, cliffs, and natural features. While its not as forgiving or as easy to manipulate off of jibs and tables as a softer park or all-mountain board, the Angus’ added stiffness under the bindings and near the waist seems to help the board really pop. I have found that the Angus performs especially well in both wet and dry tracked powder like that typically experienced at the end of the day or a few days after a storm (more on this further down). The Angus is a true twin — in both flex and shape — making it a fun, playful ride for most days. 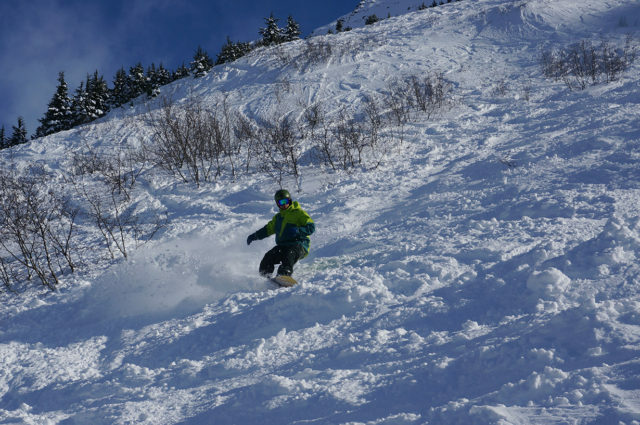 While I would rather use a directional powder board for deep days as the setback stance and directional flex helps those boards plane better, I was pleasantly surprised by how well the Angus floated in pow. With measured dimensions of 304-251-304 mm for the 162 cm, the Angus is on the wider side (nose, waist, and tail) compared to any other board I have tried in the all-mountain / non-powder-specific class of snowboards or splitboards, and this definitely helps in pow. To put it into perspective, the 162 cm Angus’s stated dimensions are actually 5 mm wider in the nose and tail compared to the 164 cm Wide Krypto. While having a wide board promotes excellent flotation in powder, I have noticed that it takes longer to transition from edge to edge on firmer conditions with the Angus, especially when landing jumps and drops, which I will discuss more in the performance section. The Angus’ serrated 5S sidecut took me a few days to get use to. It does not feel as intuitive as boards with normal parabolic sidecuts, or even those that feature similar Magne-Traction sidecuts (e.g. Rossignol One Magtek & XV Split, Jones Carbon Solution, GNU Billy Goat Split). While the additional contact points / bumps on the Angus’ sidecut do allow the edges to dig into hard and icy conditions, they don’t make for the most predictable ride, and after several months, I still get surprised on occasion. This mostly happens when transitioning from soft, chalky conditions to firmer snow and ice. So, the question is — is it worth riding a Magne-Traction / 5S sidecut as opposed to a traditional sidecut? 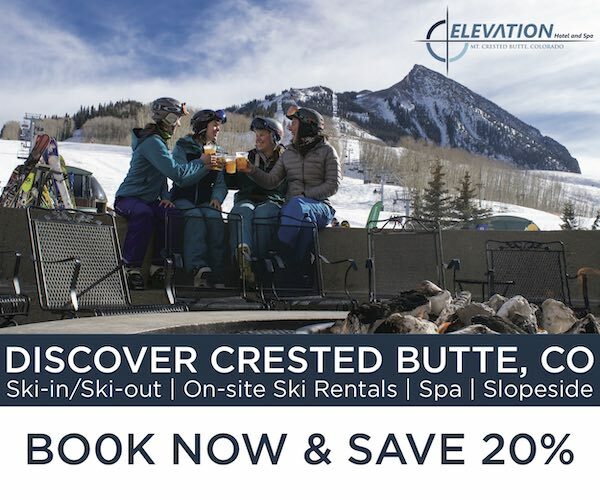 If you’re tired of washing out on hard sections and ride mostly groomers and shallow or non-powder conditions, then I’d say yes. However, the serrated sidecut does seem to have some drawbacks. 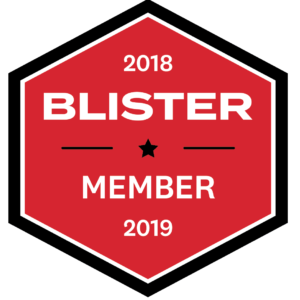 I have found that serrated sidecuts do not offer many benefits in deeper snow, they feel slower when edging (in both powder and on groomers), and do not turn as predictably in softer conditions when compared to boards with traditional sidecuts. The Angus also features Rossignol’s “Roller BC,” which is essentially a 2 degree bevel near the boards edge that raises the contact point approximately 1 mm. 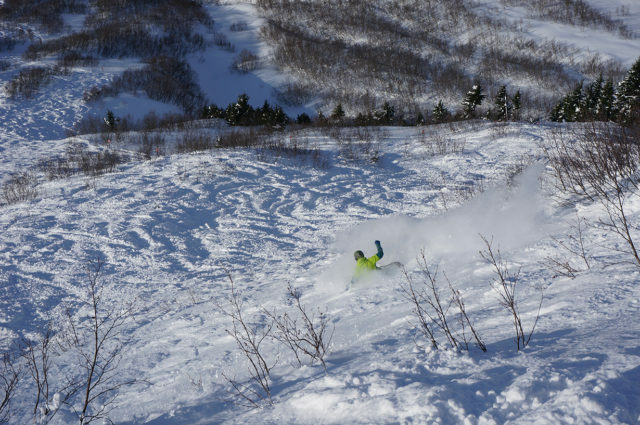 While not always the best feature when riding groomers or firmer conditions (more on this further down), it does make riding powder slightly more enjoyable. This is especially noticeable when slashing out turns as it seems to create a surfier feel. The slightly delayed edging that results from the bevel took several days to really figure out, but it does complement the Angus’ riding qualities in powder quite well. On the other hand, I think a non-beveled edge would be more precise on firmer conditions. Is this a feature that’s worth it on an all-mountain board? I think that comes down to your personal preferences. 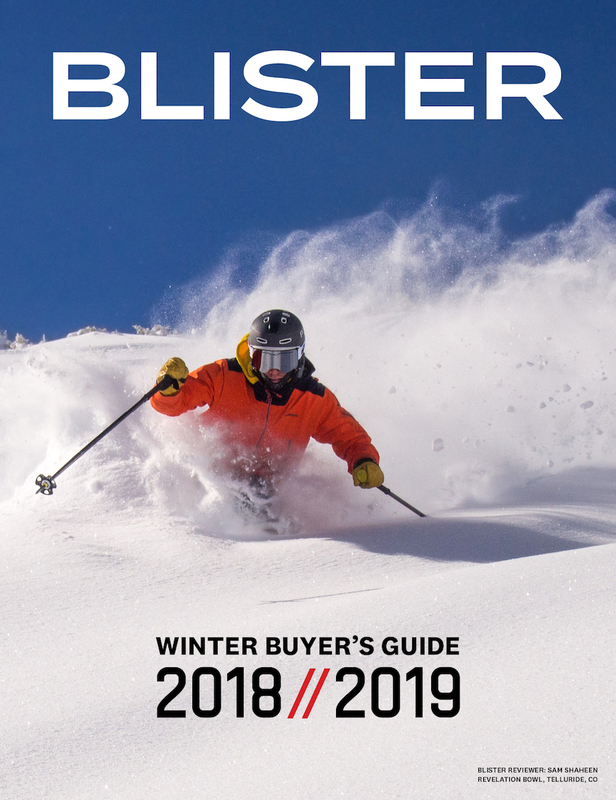 I personally don’t feel that the beveled edges make enough of a difference in powder to sacrifice the all around edge-ability and responsiveness that you lose on firm snow. To be an adequate “1-board quiver,” I want a board that will keep me happy all day long, from deep untracked pow in the morning, to tracked powder and variable snow in the afternoon, and then firm / icy groomers once the sun goes down and the lights come on. I’ve found the Rossignol Angus to do a great job overall, and particularly in powder. 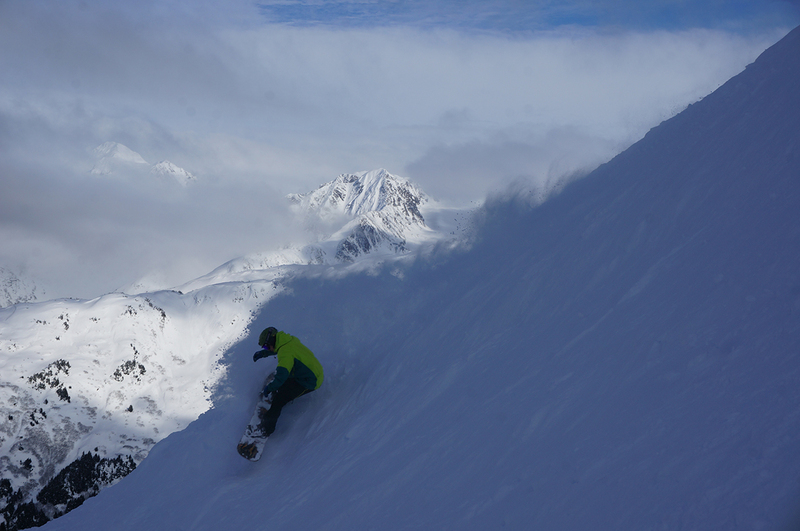 This season, I have tried numerous directional powder boards and splitboards (e.g. K2 Split Bean, Rossignol XV Sushi, Jones Hovercraft, & Never Summer Swift), and while each of those boards provides a unique experience, there is something satisfying about riding a twin with a long, supportive tail. Sure, the boards with more directional shapes offer more float and surfier turning, but the Angus still remains one of my favorite boards for pow days, especially once the snow starts to get tracked up. The Angus has offered ample float, and I never found myself needing more (although I am on the lighter side of the weight spectrum for the 162 cm). The Angus is also one of the most stable all-mountain boards I have used, particularly at higher speeds. I think this is due to the stiffer flex, traditional camber between the feet, and relatively long tail (in comparison to a typical directional powder board). 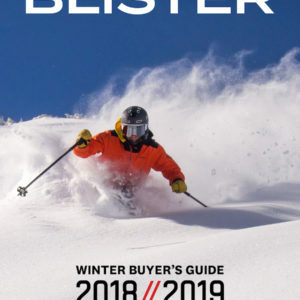 Compared to the Rossignol One Magtek, the Angus feels considerably more stable in powder, particularly when crossing tracks or riding heavier, wet powder. I think the Angus is an excellent option for taking a more freestyle / freeride approach to riding the mountain— ideal for side hits, cliffs, and natural jumps into soft powder. In powder, the Angus never felt exceptionally fast, especially compared to more tapered, directional powder boards which seem more specifically designed for carving. I feel that this difference is largely due to the Angus’ 5S sidecut. As noted above, the additional contact points on the sidecut feel more abrasive / create more drag when laying into an edge. I first noticed this disadvantage when comparing the Amplid Milligram splitboard (which has a normal sidecut) to the Jones Carbon Solution splitboard (which features a Magne-Traction sidecut similar to the Angus’). The Milligram felt considerably faster than the Carbon Solution, especially when on edge. I’ve noticed similar drag on the Angus, and while not necessarily a deal breaker when buying a board, it is something to consider — greater edging power, but with a potentially slower ride. It is worth noting that I think the Angus is best paired with a stiffer binding for powder and firmer conditions. I really enjoy stiff carbon bindings such as the Union Ultra FC or the NOW O-Drive, which really help drive the edges. This is especially useful with the Angus since it takes a bit more rider input to get up on edge due to the beveled base and overall wider shape. 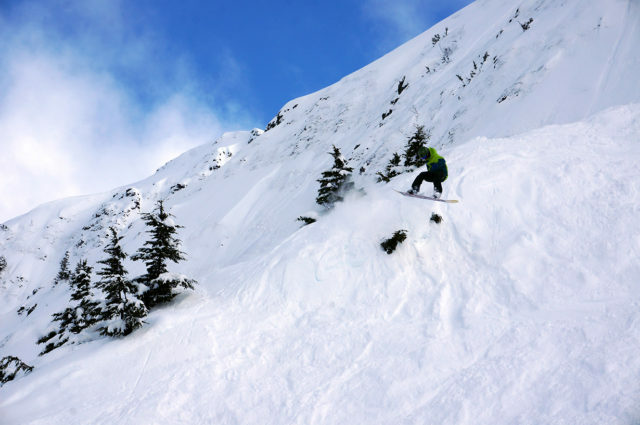 For how well it does in powder, the Angus does a great job on firmer conditions (especially consistent, firm conditions), furthering its potential to be an excellent 1-board-quiver and a great choice for general resort riding. The Angus feel very snappy and responsive — ideal for airing natural features and side hits and blasting through bumpy landings and chunder. Overall, the Angus carves and holds an edge pretty well, although it can be unpredictable at times. While the 5S sidecut seems to decrease the Angus’ overall speed, it does greatly improve the edgehold on firm and icy conditions. The Angus delivers powerful and fairly consistent carving abilities when really driving the edges in on chalky snow or groomers. However, the Angus’ edging can also be unpredictable at times, especially when transitioning between hard and soft snow. When hitting bumpy hard snow or transitioning from ice to softer snow (or vice versa), there have been times where the edges engaged harder than I had intentioned, catching me off guard. This has become less of an issue as I’ve gotten used to the board, but I have still surprised myself even after a few months on it. With that said, the Angus is great for smooth, chalky groomers, and offers excellent edge hold in these conditions. I have been impressed with how far I could lay the board over and still maintain edge hold. I think the Rossignol One Magtek is a better option for “cruising” groomers at slower speeds, while the Angus feels better charging, due to is stiffer flex and overall more stable platform. I have also found that upon landing jumps and drops on firmer snow (especially after coming out of a rotation), the Angus feels slightly wobbly after the initial impact until I can lay the board over on edge properly (unless I was able to land perfectly on the edge). I think the width and the beveled edges may contribute to this prolonged sense of feeling edge-less. While this may be attributed to my personal ability, I haven’t noticed this edging problem as much with other boards, such as the One Magtek. Once again, the Angus’ carving power seems enhanced with a stiffer binding, where as a softer option (such as the Union Contact Pro) takes a lot more muscle and weight to really drive the Angus at higher speeds. The Angus is a great option for an intermediate to advance rider looking for a 1-board-quiver, or just a dependable ride for most days at the resort. 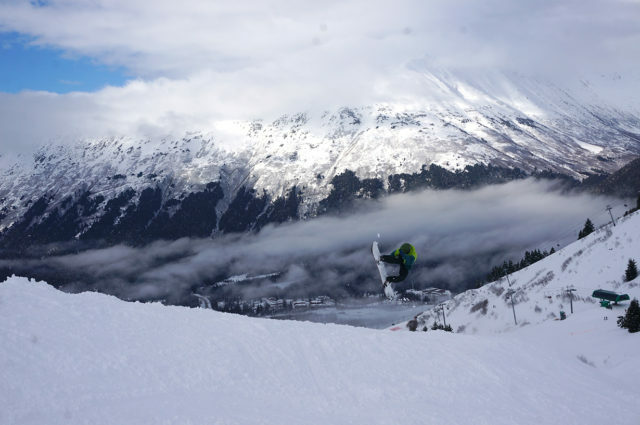 While not necessarily a great jib board for the park due to its width and slightly unpredictable edging, the Angus is a great all-mountain board that really thrives in softer conditions. It is not the most intuitive to ride right away, and takes some time to master (which may not take as long if you’re used to a board with a serrated sidecut). But overall, the Angus is quite an enjoyable board, particularly in powder and variable conditions. It has the stability that encourages higher speeds like a directional board does, yet its a twin shape allows for a more creative approach to riding the mountain. If you enjoy charging around the mountain and are looking for twin that you can use as a 1-board quiver, the Rossignol Angus is one of the best boards I’ve used. It has ample floatation, a versatile camber profile, and offers strong stability while riding at speed through variable conditions. All of these attributes add up to make the Angus a great option for most days at the resort.